Desserts are a popular business here in Malaysia and over the recent years, gelato is taking over the country by frost. So, why did this couple decide to take on this challenge of producing and selling gelato in the first place? Founder of Shweet, Yvette Ding, always had an interest in entrepreneurship, especially for the F&B industry due to her liking for food. But, she never took the chance to pursue it until recently. People tend to say that experience is the base of all successful businesses, but sometimes, it’s the passion that makes a dream turn into reality. Yvette was constantly inspired by people who took risks to step out from their comfort zones to start businesses of their own and with that in mind, she finally took the leap. What started out as a random thought from a gelato-loving HR executive turned into a full-blown home business that’s giving people a wholesome experience of gelato in its simplest and purest of forms. 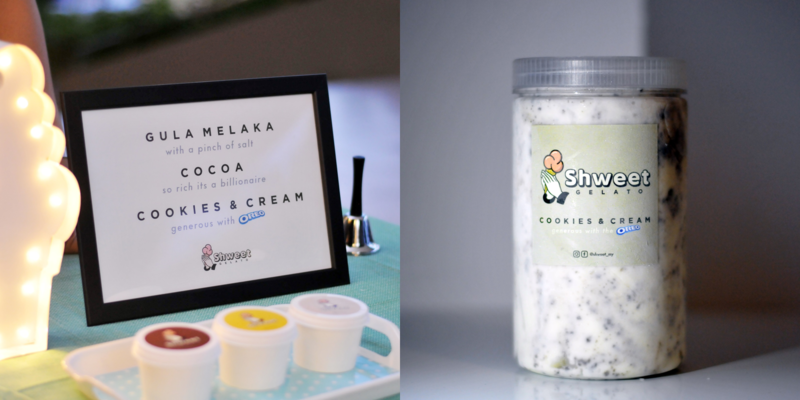 After learning the craftsmanship from a 4th generation gelato chef straight from Italy, Yvette and her fiancé, Nathanael, began to work on their new brand—Shweet. Nathanael—who currently juggles his work as a TV producer and Shweet—came up with this simple yet effective name for their business. 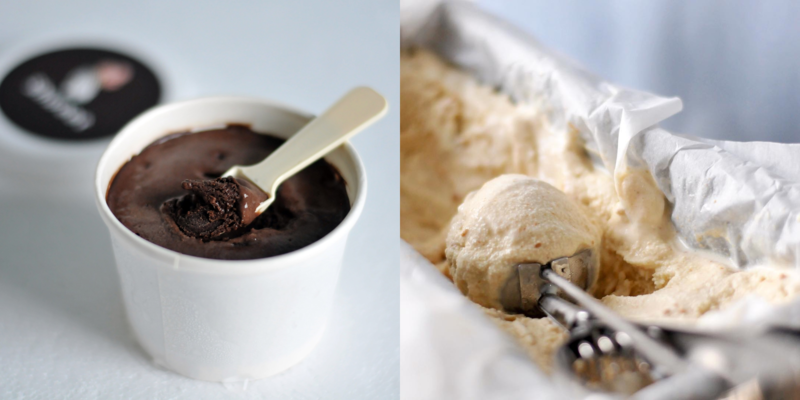 “We didn’t want our gelato to just be another sweet dessert. Shweet is just way better than sweet,” Yvette explained. Their motto is much like the name of their business itself. They aim to bring out the most in a gelato experience—letting people have a good time while not feeling too guilty for satisfying their sweet tooth. “People are getting more health-conscious and gelato is a good alternative,” Yvette said. With so many dessert shops opening around the country, this duo was determined to bring the most natural and homely taste to their product. After speaking to them, we found out that there aren’t any special methods of creation with these batches of gelatos—but their focus is on their ingredients. “We do not use premixes. Every flavour is made in small batches with no colouring or preservatives. Ethical, honest, real stuff,” she said. What stands out with their business is also that they do not have a physical store anywhere. The gelatos are all created, packed and delivered right from their home. Their business is currently focused more on catering towards events and bulk orders, but that doesn’t mean that they won’t send a batch to your doorstep if you ever need one. 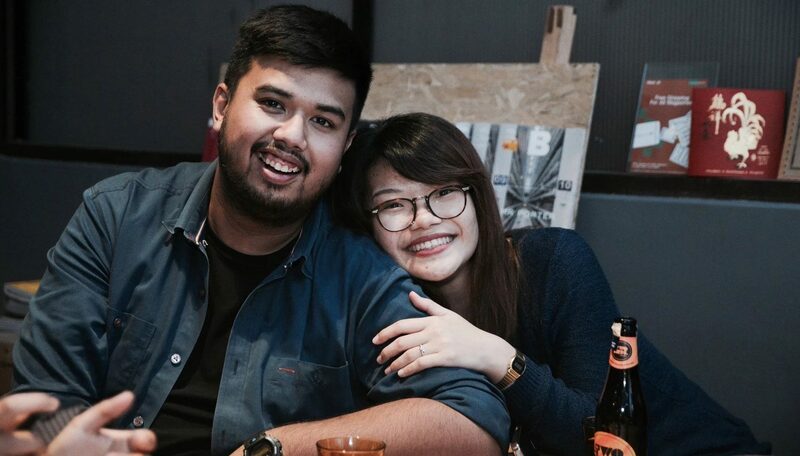 Four months after their launch, “We’ve had our pop up shop in a few bazaars around the Klang Valley, catered for a couple of private events and also sold more than a thousand cups and a few dozen pints,” said Yvette. For a former HR executive of an oil and gas company and a full-time TV producer, Yvette and Nathanael took a big risk with this change. It wasn’t an easy choice to make but they have undeniably strong resolves for achieving their dreams. Behind any great business is a supporting and loving family. Even with such a big impact towards their careers, Yvette and Nathanael were blessed with the support of their family members after they saw the all the work they were going through for this business. “When they started seeing how much effort I’m putting into the business, they’ve turned from worrying to cheering me on instead. That honestly gave me a whole lot more strength to do what I do today,” she explained. This couple is working hard on their newfound passion but they aren’t planning on changing the way they operate anytime soon. “We love gelato and we love serving them. We have no plans in the near future to have a physical shop,” Yvette said. Instead, they’re looking into more options to spread their name and make their gelatos more accessible to people such as through pop ups and eateries. “There’s definitely lots of challenges starting Shweet. Mainly because there are existing big players in the market. But we’d like to see this market as a big pie, and that every brand offers their own unique piece,” Yvette said. “We sell gelato and we’d like to educate the market that gelato is different than ice cream,” she explained. They are more than pleased to continue catering to events and orders as long as they can let the community have a taste of real happiness—much like how they found theirs.